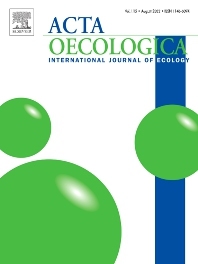 Acta Oecologica is venue for the publication of original research articles in ecology. We encourage studies in all areas of ecology, including ecosystem ecology, community ecology, population ecology, conservation ecology and evolutionary ecology. There is no bias with respect to taxon, biome or geographic area. Both theoretical and empirical papers are welcome, but combinations are particularly sought. Priority is given to papers based on explicitly stated hypotheses. Acta Oecologica also accepts review papers. The forum section is reserved for short papers with critical discussion of current issues in ecology, as well as comments and viewpoints on previously published papers. Acta Oecologica does not publish book reviews, but comments on new books are welcome in the forum section.